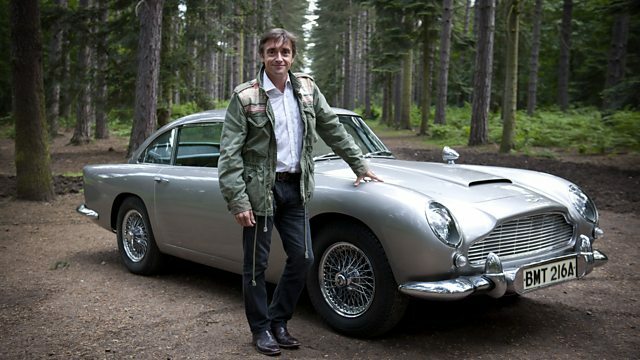 Richard Hammond celebrates 50 years of Bond films with a look back at 007's legendary cars. He talks to Daniel Craig and Roger Moore, and attempts to make a submarine car. In a special edition of Top Gear, Richard Hammond celebrates 50 years of James Bond films with a look back at 007's legendary cars. He also talks to Daniel Craig and Sir Roger Moore, gets exclusive access behind the scenes of Bond's latest adventure, Skyfall, and pays special tribute to 007 by attempting to turn a Lotus in a fully working submarine car. Will the Top Gear-constructed Bond car really survive underwater? Composer: David Arnold. Performer: Nicholas Dodd.